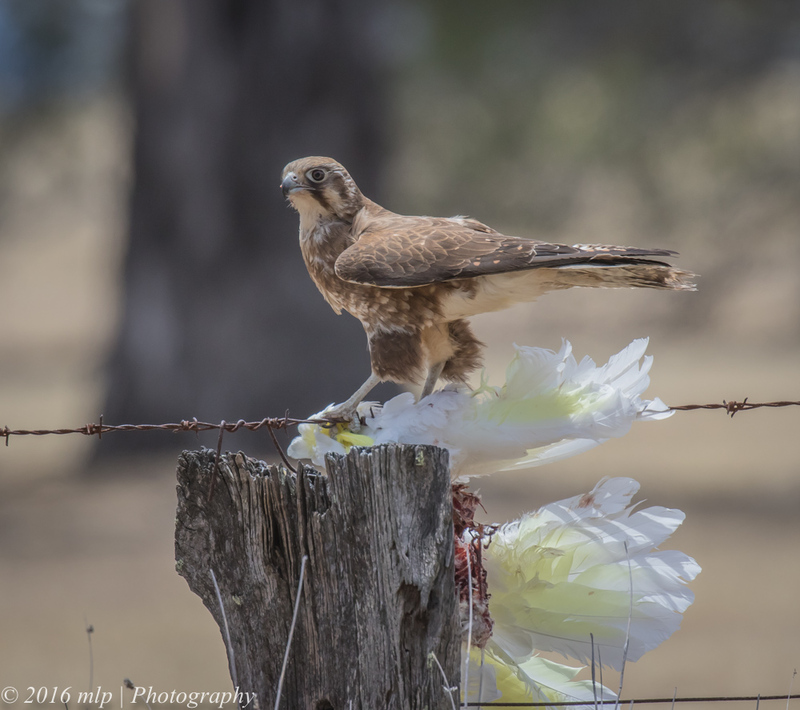 During a drive around the various state nature reserves just outside the boundaries of the Grampians National Park I stopped at Cherrypool Wetlands along the Henty Highway. The water level was quite low and I worked my way around the edge of the scrub that ran down to the water and mud. When I pushed through some bushes I came face to face with a family of Emus. I was as stunned as they were but they had better reflexes and took off before I could get my camera into action. 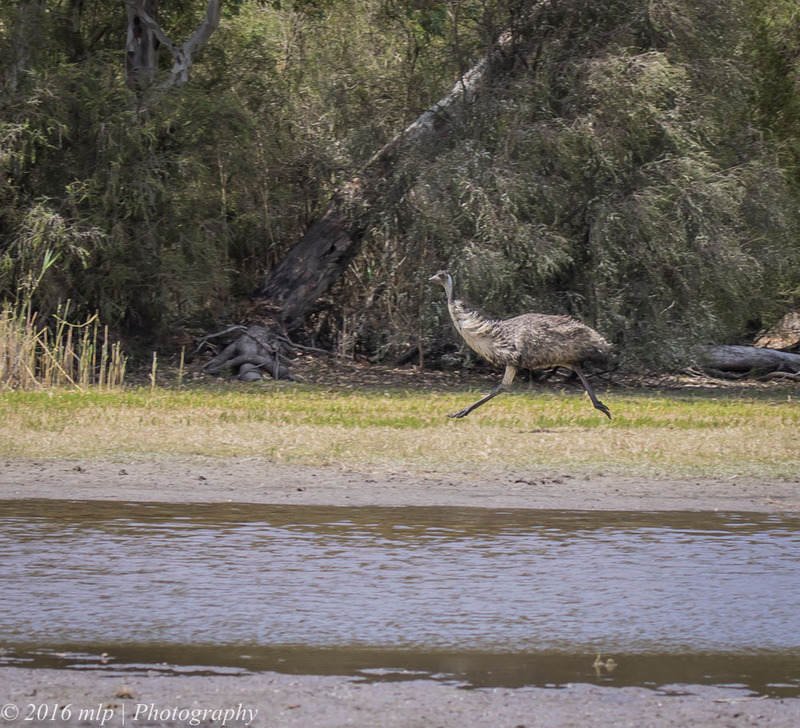 By the time I spotted them again they were still running but now on the other side and the adult emu was well in front of his family….the chicks were about half his size. 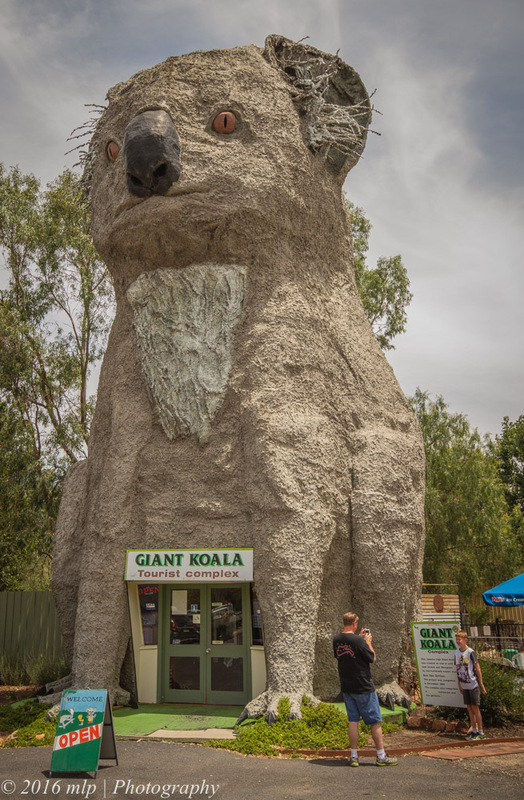 This entry was posted in Victoria and tagged Brown Falcon, Cherrypool Highway Park, Dadswells Bridge, Emu, Emu chicks, Giant Koala, Glenelg River, Henty Highway, Sulphur Crested Cockatoo, Wartook State Forest. Bookmark the permalink. 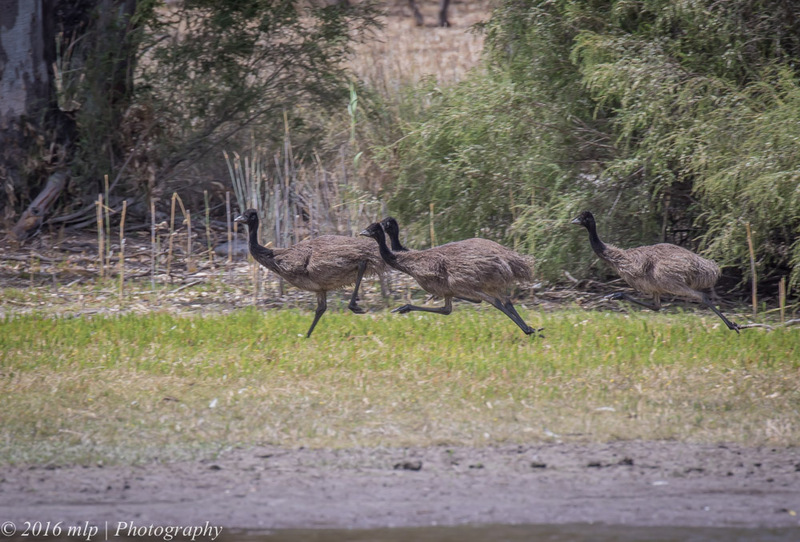 Love the photos of the emus! And great capture of the falcon.